Odyssey Journal: Check out the winners of the ‘Spectacular views’ theme! 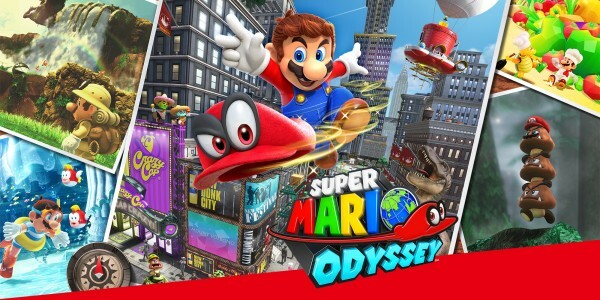 The Odyssey Journal rolls on in Super Mario Odyssey for Nintendo Switch, a contest where your in-game shots could be featured on our website and social media pages. We’re looking for the best themed snapshots across Europe, so start getting creative! Last time, the theme was ‘Spectacular views’. Check out the winners below! Want to get involved in the next theme? Here’s your chance! The theme for this round is all about those larger-than-life shots fitting for the big screen – it’s ‘The ultimate movie poster'! So, create a scene of epic proportions, and get snapping! For that authentic movie poster look, don’t forget to rotate the camera with the ZL/ZR Buttons! After the closing date, we’ll select our three favourites and feature them on the official Nintendo website, and our Facebook and Twitter pages! 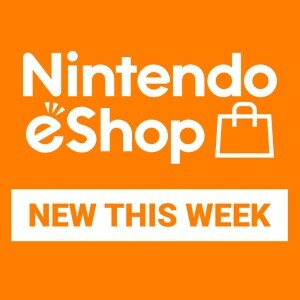 Entry is open to Nintendo Account users who are residents of the United Kingdom, Ireland, Germany, Austria, Switzerland, France, Russia, Italy, Spain, Portugal, the Netherlands, Belgium or Luxembourg, excluding Nintendo employees and their immediate family members, agents or anyone professionally connected with the promotion. Entrants must be 13 years or over. By entering the promotion, entrants agree to be bound by these terms and conditions. If you are under 18 you are representing that you have consent from your parents/guardian to enter the promotion accordance with our terms and conditions. 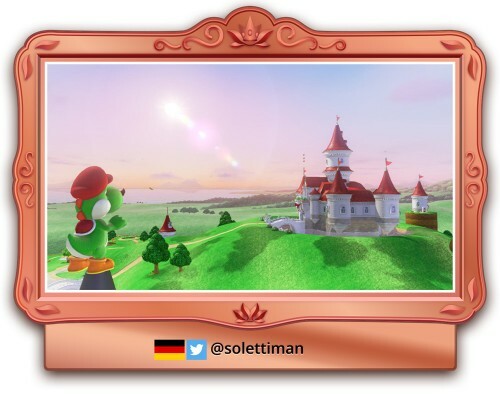 In the time period from 18.06.2018 until 30.11.2018 Nintendo will publish every three weeks new themes for this promotion on the official Super Mario Twitter and Facebook websites and the official Nintendo Instagram accounts. 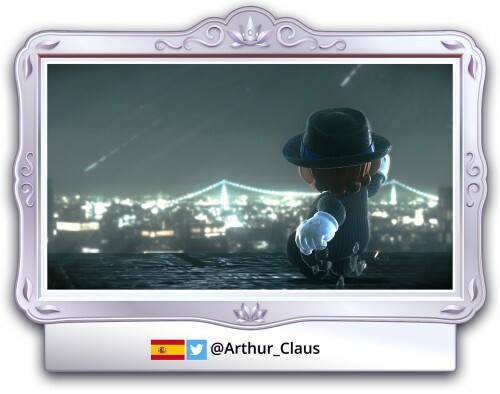 The participants have to take a screenshot in the game “Super Mario Odyssey” relating to then-current theme and post the screenshot online on (a) Twitter or (b) Instagram using the hashtag #SuperMarioOdyssey and the local hashtag provided by Nintendo on the official Super Mario Twitter and Facebook websites. Entry for each theme will close at 23:59 on the second Tuesday after the theme has been published. The Promoter cannot guarantee uninterrupted or secure access to the entry route. For each theme entrants are free to enter the promotion as many times as they want. For each theme the Promoter will choose the three best screenshots and will feature them on official websites of Promoter and/or websites promoting and/or selling the Promoter’s products, YouTube and/or social media websites such as Facebook, Twitter and Instagram. There is no cash or other prize alternatives. In the event of unforeseen circumstances, the Promoter reserves the right to substitute any prize for an alternative of equal or greater value. The Promoter reserves the right to withdraw, suspend or amend the promotion without prior notice in the event of any unforeseen circumstances outside its reasonable control. All entries must be made directly by the person entering the promotion. No responsibility can be accepted for entries lost, delayed or corrupted, or due to computer error in transit. Entries made online using methods generated by a script, macro or the use of automated devices will be void. By uploading material, participants represent and warrant that they own, or have obtained, all rights necessary to post that material, including, but not limited to all copyrights, trademarks, trade secrets, patents or other proprietary rights. Each participant further agrees that they will not upload material or other content that violates the publicity rights, privacy rights, portrait rights, copyrights, trademark, trade secret, patent or other third party proprietary rights. The Promoter reserves the right to exclude an entry from the promotion if it considers such entry to be offensive, defamatory or if it infringes third party rights. Entrants agree to grant Nintendo a non-exclusive, worldwide, irrevocable licence, for the full period of any intellectual property rights in the competition entry, to use, display, publish, transmit, copy, edit, alter, store, re-format and sub-licence the screenshots. Nintendo may use the screenshots in future promotions including in its marketing materials, on its website, on its social media channels and in any other media from time to time. The Promoter reserves the right to verify all entries, including, but not limited to, age and eligibility to enter, and to refuse to award the prize, or withdraw prize entitlement, where there are reasonable grounds to believe there has been a breach of these terms and conditions or any instructions forming part of the entry requirement of this promotion. The liability of Nintendo for damage attributable to injury to life, limb, or health and attributable to wilful or negligent breach of duty on the part of a statutory representative or vicarious agent of Nintendo and for damage attributable to fraud, wilful or grossly negligent breach of duty on the part of Nintendo, statutory representative or vicarious agent of Nintendo shall remain unaffected. The same applies for damage attributable to claims under the Product Liability Act or any guarantees given by Nintendo. The liability of Nintendo is limited to the foreseeable damage typical for the contract for damage attributable to negligent breach of essential contractual duties on the part of a statutory representative or vicarious agent of Nintendo and not attributable to injury to life, limb, or health or claims under the Product Liability Act. Essential contractual duties are duties, whose observation is required for the proper performance of the competition and in whose observation participants typically may trust. Nintendo is not liable for any damage attributable to any reason that is not covered by one of the two preceding paragraphs. The winners’ Twitter or Instagram username and country of residence may be published on the Promoter’s website and/or websites promoting and/or selling the Promoter’s products, YouTube and/or social media websites such as Facebook, Twitter and Instagram. 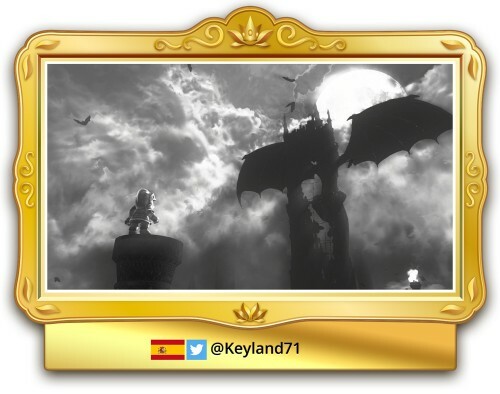 Odyssey Journal: Check out the winners of the ‘Captain Toad's Odyssey’ theme!